As the weather is getting darker and colder, there is nothing better than a home cooked meal! and where better to cook, relax and enjoy a warm home cooked meals other than a gorgeous fitted kitchen. On average Britons spend around 13 hours a week in the kitchen, so, your kitchen needs to perform and match your requirements. Our kitchen fitters in Stafford can help you design, create and fit the perfect kitchen to serve up all the delicious meals that will keep your warm and fed through autumn and winter. The first word that comes to mind when you think of a kitchen is cooking. However, they’re so much more than that. The modern household in the UK uses their kitchen as a central hub. Whether they’re used for entertaining guests, catching up with friends and family or getting the children ready for school, kitchens can and should be able to do it all. 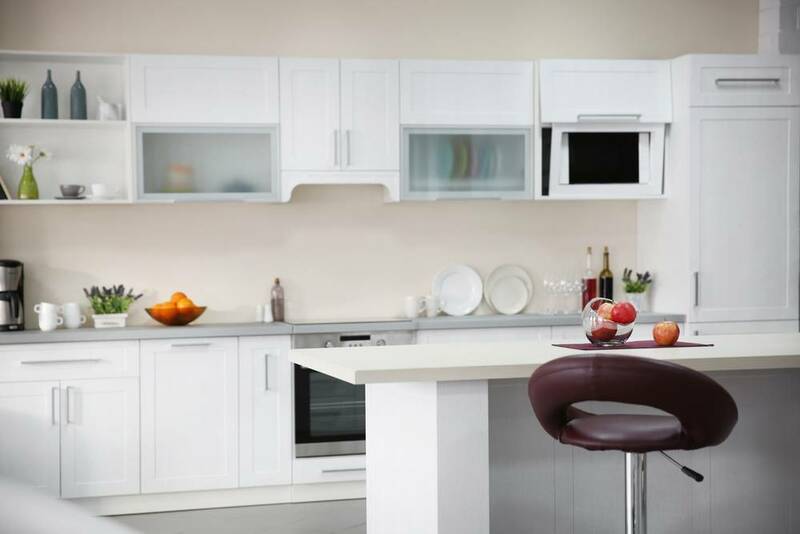 Our kitchen fitters in Stafford can make the most of your space. Whether limited or vast every inch of available space will be utilized thanks to our bespoke kitchen fittings, storage space and appliances. Not only that your kitchen is there to stay. We only use the best materials, so your kitchen will last a lifetime whilst adding value to your property. Here at Ian’s Property Maintenance, we’re very proud of the reputation we’ve built in the area of Stafford. Our kitchen fitters are punctual, hardworking and professional, ensuring all your needs are met. Our job as kitchen fitters in Stafford is to create a kitchen that reflects your personality, lifestyle and needs. If there is something in the design you want to change please don’t hesitate to get in touch. After all, this is for you! If you would like more information about our kitchen fitters in Stafford service, please get in touch with Ian’s Property Maintenance today. In addition to our fitted kitchens, we also complete various other property maintenance jobs around the house for both the interior and exterior of your property.